According to the Sleep Foundation, more than 18 million Americans are diagnosed with sleep apnea. If you are apart of those more than 18 million Americans to receive a sleep apnea diagnosis, your next step will be to pursue treatment. Typically this will begin with the prescription for a continuous positive airway pressure (CPAP) treatment device. If you are confused on the different PAP machines available, check out our article CPAP vs. BiPAP: Defining the Differences. The last step to conquer before you can start enjoying the benefits sleep therapy can provide is to find a mask style that is perfect for you and your sleep therapy needs. Choosing the right mask sets the baseline for your overall treatment. If you dread having to put on the mask each night then overtime you will be more and more likely to forgo treatment a few times a week or in all. But it is often a confusing decision when faced with numerous masks, styles, and sizes. Always choose a mask option that is most effective for you, not just because they are recommended for your type of breathing. When assessing available mask options the most important distinction is between masks that deliver air through the nose, and those that deliver air via the nose and mouth. What is the Best CPAP Mask for Me? 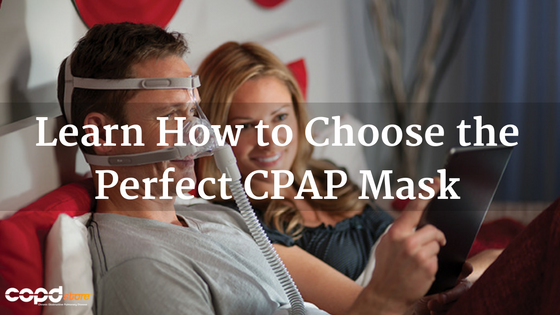 You may be extremely confused when looking at all the available CPAP masks. 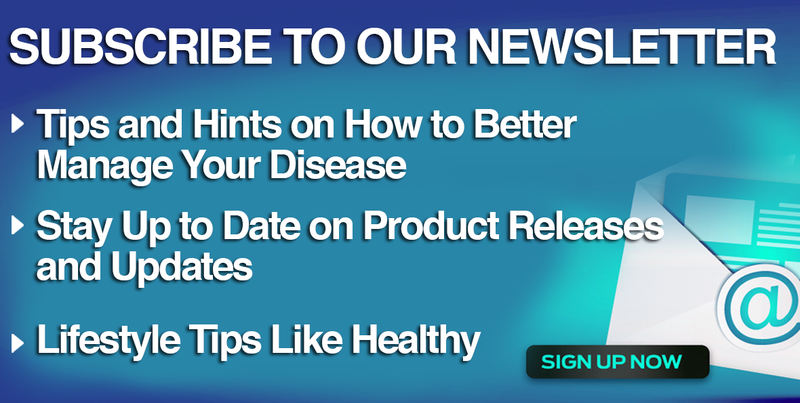 But by the end of this article, you will be equipped with the knowledge to purchase the most ideal CPAP mask for your respiratory and lifestyle needs. When considering different CPAP mask options, it typically depends on how you breathe during sleep therapy. For example, do you typically breathe through you mouth rather than your nose (mouth breathing)? Do you breathe through your nose? Or do you experience a blocked nose? If you have no problem breathing through your nose during your sleep therapy treatment, a nasal pillow or nasal mask is viable option. However, if you are a mouth breather you should opt for a full face CPAP mask. Do I Need a Prescription to Purchase a CPAP Mask? 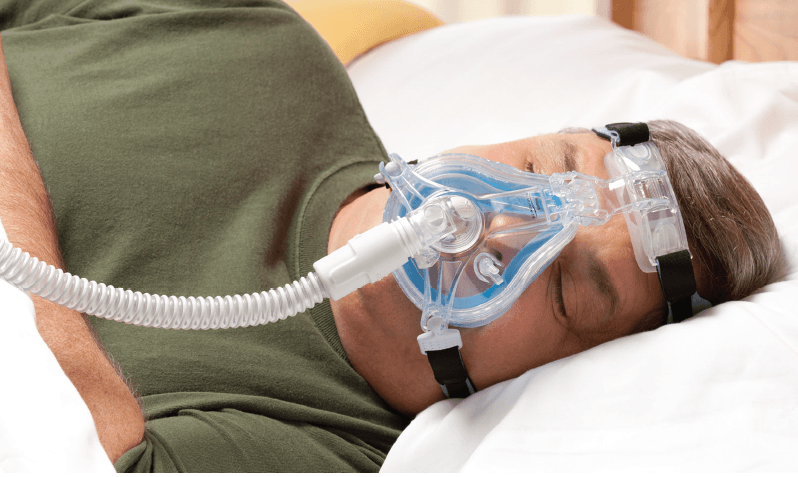 Before you go out searching for the optimal CPAP mask, you need to make sure you have been tested for sleep apnea and have received a prescription for sleep therapy. A prescription is REQUIRED by law to purchase any CPAP mask or machine. If you come across a company willing to sell you a CPAP mask or machine without a prescription, you should avoid doing business with them. lip to deliver CPAP treatment through your nose. These are the most common types of CPAP/BiPAP masks. Nasal masks offer ease of use and non-obstructed viewing, and are ideal for those of you that enjoy reading or watching T.V. before bed. There are also minimal contact nasal masks that cover just the tip of your nose rather than its entirety, but their functionality is the same. Instead of only covering your nose, a full face mask will cover your mouth and entire face. While also featuring straps and forehead support to keep the mask in place while you sleep. 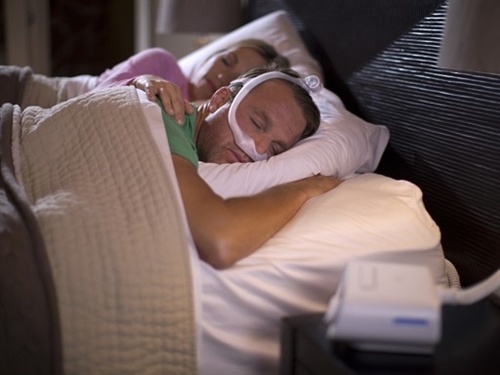 A full face CPAP mask is used if you breathe through your mouth while sleeping. If you are a mouth breather but enjoy reading or watching T.V. before bed, some newer full face masks have forgone the forehead support in all for improved viewing. A nasal pillow CPAP mask features silicone or gel “nasal pillows” that sits underneath and go into your nose. This is an extremely popular option among CPAP patients due to their minimal design. Nasal pillow masks are a viable option if you don’t like the feeling of a mask on your face or you have troubles with air leaks. Nasal pillow CPAP masks feature a minimal contact design. It's vital to choose the proper mask sizing for not only comfort and treatment compliance, but more importantly, to deliver a stable seal that prevents mask leaks. Using a mask that either leaks from the sides of the mask (mask leak) or air is leaking from your mouth (mouth leak). Means that you will be missing out on the full benefits that can be experienced with sleep therapy. You do not want a mask that is too loose or too tight, your CPAP mask should have a snug fit. Using a CPAP mask that doesn't fit properly will allow air to seamlessly escape, or result in you over tightening the mask. Which can also lead to irritation, mask leaks, and painful and unsightly red marks on your face. Here are 5 tips to reduce CPAP mask irritation. If this is your first CPAP mask, opt for a mask that includes multiple cushion sizes. Allowing you to experiment with different sizes to determine which size provides the best fit. What is Mouth Leak and How Do I Prevent It? Your health care provider may have mentioned mouth leak, or you might've seen it mentioned throughout your CPAP related research. When you hear the term "mouth leak", it simply refers to sleeping with your mouth open and air leaking out of your mouth during your sleep therapy treatment. Your mouth breathing can be attributed to blockage in your nose, causing you to snore or to experience dry mouth upon waking up. On the other hand, sleeping with your mouth could be due to a simple habit. Often times you may have no idea that you sleep with your mouth open, unless a spouse frequently complains about your snoring keeping them up at night or you experience frequent dry mouth. If you experience mouth leaks sporadically, you may be able to prevent it with the use of a chin strap to help keep you mouth closed throughout the night. Another option is to use a heated humidifier with your CPAP machine at night to help open up your nasal passages. If you regularly experience mouth leaks, a full face CPAP mask may be the best option for you. A full face CPAP mask will cover both your nose and mouth, so even if you do breathe through your mouth, air will not leak out of the mask. If you are an active sleeper, let your DME or health care provider know so they can recommend the most secure CPAP mask possible. Are you claustrophobic? Avoid the use of a full face CPAP masks. Find a cushion material (gel, silicone, cloth, etc.) that is most comfortable for you. Do you breathe through your mouth? 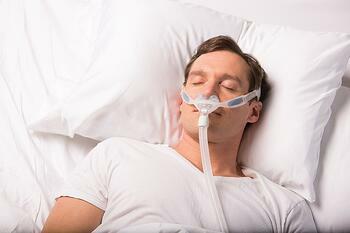 If yes, then you should use a full face CPAP mask or nasal pillow CPAP mask with chinstraps. Do you enjoy reading or watching T.V. before bed? Opt for a mask that offers obstruction free viewing, such as a nasal or nasal pillow CPAP mask. If you have facial hair, make sure you choose a mask that won't leak due to an uneven surface. Does the mask include or offer multiple cushion sizing options? This is helpful as it will allow you to test different sizes to find the best fitting option. While browsing all the available options for CPAP masks, the only way of truly knowing if one mask will work better than the other is by trying them. The three most important things to keep in mind is will the mask adequately meet your individual breathing needs, comfort levels, and sleep habits? When you have a mask that meets all three you will be more compliant to actually use your sleep therapy device each night. Have questions about choosing the right mask for you? Leave a comment below and we would be more than happy to assist you. Do you already have a mask? Let us know in the comments section which CPAP mask you are currently using, with what you do and do not like about it.